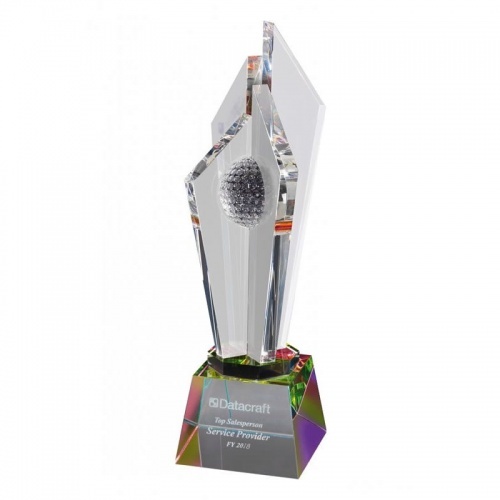 These stunning optical crystal golf trophies are fit to reward the very highest levels of golfing achievement. Standing an imposing 12in tall they comprise four clear crystal columns set around an optical crystal golf ball and mounted on a bevelled glass base. The flawless optical crystal refracts light as it passes through the award, creating a myriad of colour. These awards can be engraved on the large base. 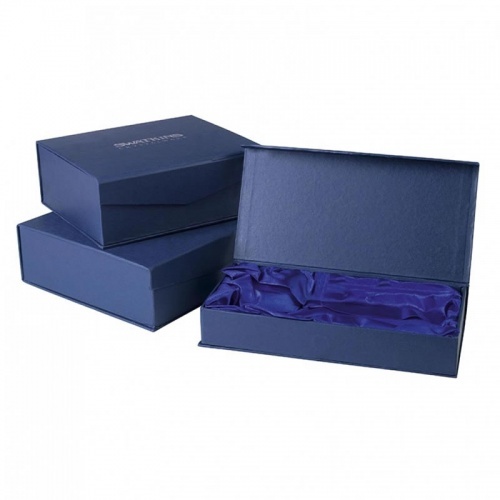 Supplied in an attractive blue foam-lined presentation box.